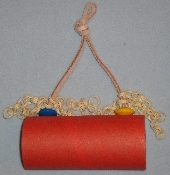 A bouncy boing made just like cotton rope perches. 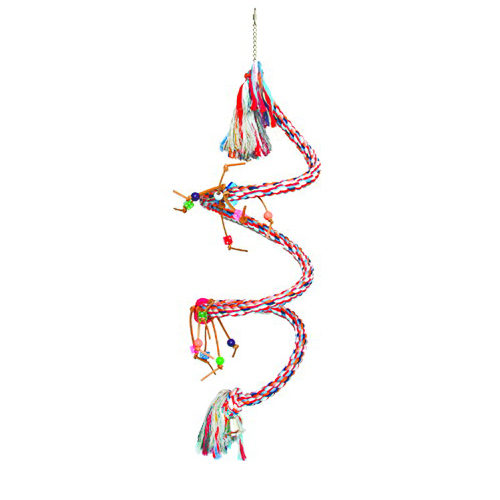 Perfect for hanging off ceiling or inside of cage. Great alternative to a swing. Measures 43" x 0.5" diameter. Solid brown colour. 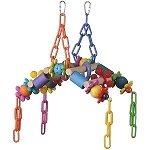 Suitable for small birds such as budgies, parrotlets, linnies, and lovebirds.